Following his appointment in 1835 as principal conductor of the Leipzig Gewandhaus Orchestra, Mendelssohn named his childhood friend Ferdinand David as the orchestra's concertmaster. The work's origins derive from this professional collaboration. In a letter dated 30 July 1838, Mendelssohn wrote to David: "I should like to write a violin concerto for you next winter. One in E minor runs through my head, the beginning of which gives me no peace." The concerto took another six years to complete. There are many possible reasons for the delay, including self-doubt, his third symphony and an unhappy period in Berlin after a request from King Frederick William IV of Prussia. Nevertheless, Mendelssohn and David kept up a regular correspondence during this time, with Mendelssohn seeking technical and compositional advice. Indeed, this violin concerto was the first of many to have been composed with the input of a professional violinist, and would influence many future collaborations. The autographed score is dated 16 September 1844, but Mendelssohn was still seeking advice from David until its premiere. 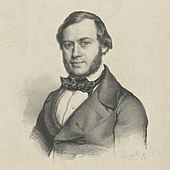 The concerto was first performed in Leipzig on 13 March 1845 with Ferdinand David as soloist. Mendelssohn was unable to conduct due to illness and the premiere was conducted by the Danish composer Niels Gade. Mendelssohn first conducted the concerto on 23 October 1845 again with Ferdinand David as soloist. An autograph manuscript of the concerto re-emerged in 1989 in the Biblioteka Jagiellonska in Kraków, leading to some scholarly scepticism of the veracity of Breitkopf & Härtel's 1862 edition of the published score. Some notable differences include the tempo character of the first movement being written as "Allegro con fuoco" rather than the commonplace "Allegro molto appassionato" as well as significant alterations of the solo violin's passagework. The work is scored for solo violin and a standard orchestra of its period, consisting of two flutes, two oboes, two clarinets, two bassoons, two horns, two trumpets, timpani, and strings. Instead of an orchestral tutti, the concerto opens with the almost immediate entry of the solo violin, playing the very tune in E minor that gave Mendelssohn no peace. Following a bravura of rapidly ascending notes, the opening theme is then restated by the orchestra. There is then a frenetic chromatic transition passage as the music subsides and modulates into a tranquil second subject theme in G major. The melody is initially played by the woodwinds with the soloist providing a pedal note on an open G string. The tune is played by the solo violin itself before a short codetta ends the exposition section of the opening movement. The opening two themes are then combined in the development section, where the music builds up to the innovative cadenza, which Mendelssohn wrote out in full rather than allowing the soloist to improvise. The cadenza builds up speed through rhythmic shifts from quavers to quaver-triplets and finally to semiquavers, which require ricochet bowing from the soloist. This serves as a link to the recapitulation, where the opening melody is played by the orchestra, accompanied by the continuing ricochet arpeggios by the soloist. During the recapitulation, the opening themes are repeated with the second theme being played in the E major before returning to E minor for the closing of the movement. The music gathers speed into the coda, which is marked "Presto", before a variant of the original chromatic transition passage ends the first movement. The bassoon sustains its B from the final chord of the first movement before moving up a semitone to middle C. This serves as a key change from the E minor opening movement into the lyrical C major slow movement. The movement is in ternary form and is reminiscent of Mendelssohn's own Songs Without Words. The theme to the darker, middle section in A minor is first introduced by the orchestra before the violin then takes up both the melody and the accompaniment simultaneously. The tremulous accompaniment requires nimble dexterity from the soloist before the music returns to the main lyrical C major theme, this time leading towards a serene conclusion. Following the second movement, there is a brief fourteen-bar transitional passage in E minor for solo violin and strings only. This leads into the lively and effervescent finale, the whole of which is in E major and whose opening is marked by a trumpet fanfare. This movement is in sonata rondo form with an opening theme requiring fast passage work from the soloist. The opening exposition leads into a brief second B major theme which is played by the soloist and builds to a series of rapidly ascending and descending arpeggios, reminiscent of the cadenza from the first movement. The orchestra then plays a variation of the opening melody, after which the music moves into a short development section in G major. The recapitulation is essentially similar to the exposition, apart from the addition of a counter-melody in the strings. The second theme is repeated, this time in the home key of E Major. There is almost a small cadenza near the end of the movement when the woodwinds play the main tune against prolonged trills from the solo violin. The concerto then concludes with a frenetic coda. The concerto is innovative in many respects. In the first movement alone, Mendelssohn departs from the typical form of a Classical concerto in many ways, the most immediate being the entry of the soloist almost from the outset, which also occurs in his First Piano Concerto. Although the first movement is mostly in the conventional sonata form, Mendelssohn has the first theme played by the solo violin and then by the orchestra. Classical concertos typically opened with an orchestral introduction followed by a version of essentially the same material that incorporates the soloist. The cadenza is also novel in that it is written out as part of the concerto and located before the recapitulation. In a typical Classical concerto, the cadenza is improvised by the performing soloist and occurs at the end of a movement, after the recapitulation and just before the final coda. 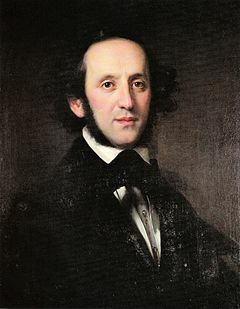 Mendelssohn's written cadenza was not included in the first published version of the concerto, but instead a "streamlined" version by Ferdinand David without the contrapuntal complexity of the original. This is the most played version today, although some artists, e.g. Arabella Steinbacher, play Mendelssohn's original. Joshua Bell performs the concerto with his own cadenza. The violin concerto stands out from previous concertos with its connected movements. There is no break between the first and second movements, with a bassoon note held between the two. The bridging passage between the last two movements begins almost immediately after the slow movement. The melody is similar to that of the opening, which hints at the cyclic form of the piece. The linking was designed to eliminate applause between movements. This would have come as a surprise to Mendelssohn's audience, who, unlike today's, were used to applauding between movements. The concerto also calls on the soloist to be nothing more than an accompanist to the orchestra for extended periods, such as the ricochet arpeggios at the start of the recapitulation. This too was novel for a violin concerto of its time. Mendelssohn's Violin Concerto influenced the concertos of many other composers, who adopted aspects of it in their own concertos. For example, the unusual placement of the cadenza before the recapitulation is reflected in the violin concertos of Tchaikovsky (where the cadenza is similarly placed) and Sibelius (where the cadenza serves to extend the development section). Moreover, following this concerto it was very rare for a composer to leave a cadenza unwritten for the soloist to improvise as in the days of Mozart and Beethoven. The linking of the three movements also influenced other concertos, such as Liszt's Second Piano Concerto. The work has developed a reputation as an essential one for aspiring violin virtuosi to conquer. This has led to its becoming virtually ubiquitous in the discography of concert violinists, even including those who were only active at the very dawn of recorded sound and of whom very little recorded music exists, such as Eugène Ysaÿe. Even so, it remains technically challenging and is generally considered to be as difficult as many other famous counterparts. 2010: Hilary Hahn (violin), Oslo Philharmonic, Hugh Wolff (conductor), Sony Recording. 2012: Philippe Quint (violin), Orquesta Sinfónica de Minería, Carlos Miguel Prieto (conductor), – "Editor's choice" by Gramophone magazine, February 2012. ^ "BBC Mendelssohn Profile". Retrieved 26 April 2007. ^ Dane, J. "Facility & Mastery: Felix Mendelssohn". University of Chicago. Retrieved 28 April 2007. ^ Stowell, Robin (26 July 2001). The Early Violin and Viola: A Practical Guide. Cambridge University Press. p. 152. ISBN 9780521625555. Retrieved 29 August 2017. ^ Reel, J. "All Things Strings: Give it a Break". Strings Magazine, No. 147. Archived from the original on 9 December 2007. Retrieved 5 October 2007. ^ "Violin Masterclass' Graded Repertoire". Archived from the original on 17 May 2007. Retrieved 24 April 2007. Wikimedia Commons has media related to Violin Concerto E minor. ABC Classic FM Deep Listen guide based on a recording by the Tasmanian Symphony Orchestra with Niki Vasilakis.